Newly published research from UBC's Okanagan campus has determined that many strains of cannabis have virtually identical levels of tetrahydrocannabinol (THC) and cannabidiol (CBD), despite their unique street names. 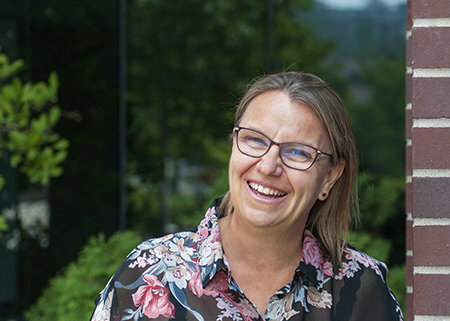 "It is estimated that there are several hundred or perhaps thousands of strains of cannabis currently being cultivated," says Professor Susan Murch, who teaches chemistry at UBC Okanagan. "We wanted to know how different they truly are, given the variety of unique and exotic names." Cannabis breeders have historically selected strains to produce THC, CBD or both, she explains. But the growers have had limited access to different types of plants and there are few records of the parentage of different strains. "People have had informal breeding programs for a long time," Murch says. "In a structured program we would keep track of the lineage, such as where the parent plants came from and their characteristics. With unstructured breeding, which is the current norm, particular plants were picked for some characteristic and then given a new name." Until now, the chemical breakdown of many strains has been unknown because of informal breeding. Elizabeth Mudge, a doctoral student working with Murch and Paula Brown, Canada Research Chair in Phytoanalytics at the British Columbia Institute of Technology, examined the cannabinoid—a class of chemical compounds that include THC and CBD—profiles of 33 strains of cannabis from five licensed producers. The research shows that most strains, regardless of their origin or name, had the same amount of THC and CBD. They further discovered that breeding highly potent strains of cannabis impacts the genetic diversity within the crop, but not THC or CBD levels. However, Mudge says that they found differences in a number of previously unknown cannabinoids—and these newly discovered compounds, present in low quantities, could be related to pharmacological effects and serve as a source of new medicines. "A high abundance compound in a plant, such as THC or CBD, isn't necessarily responsible for the unique medicinal effects of certain strains," says Mudge. "Understanding the presence of the low abundance cannabinoids could provide valuable information to the medical cannabis community." Currently licensed producers are only required to report THC and CBD values. But Murch says her new research highlights that the important distinguishing chemicals in cannabis strains are not necessarily being analysed and may not be fully identified. Murch says while patients are using medical cannabis for a variety of reasons, they actually have very little information on how to base their product choice. This research is a first step towards establishing an alternative approach to classifying medical cannabis and providing consumers with better information. Murch's research was recently published in Nature's Scientific Reports.